SWANSEA, Wales, Sporting Alert — Manchester United have sent out statement No. 2 of the season, following another powerful performance in Week 2. The Red Devils continued their outstanding start to the season with a comfortable 4-0 thrashing of Swansea City to stay atop the English Premier League standings. Eric Bailly, Romelu Lukaku, Paul Pogba and Anthony Martial scored the goals this week, as Manchester United were brilliant again, particularly in the second half where three goals were scored in less than four minutes at The Liberty Stadium. Playmaker Henrikh Mkhitaryan, who was named Man-of-the-Match, also grabbed two exquisite assists in two minutes to take his tally in that column to four from the opening two weeks of action. “It was a tough game in the first half against five defenders. 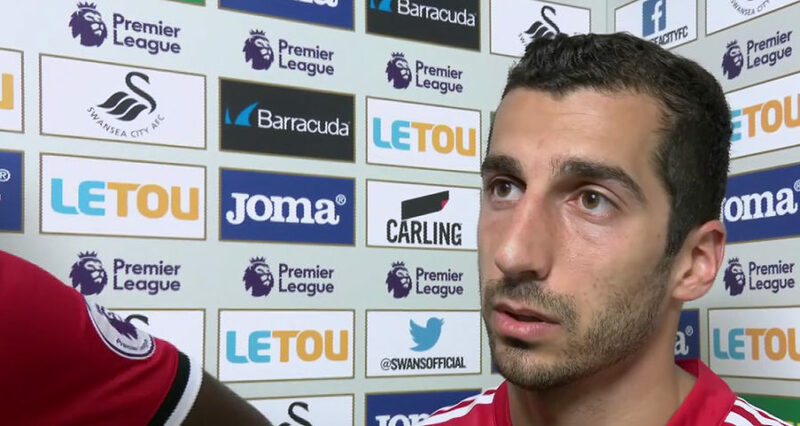 We were patient and we knew what we had to do,” Mkhitaryan said while speaking to Sky Sports. “The second half was easier because they started playing with four defenders. The team spirit is what we need. Manchester United scored four goals once in all of the last season in the Premier League but have started this term with back-to-back four-timers and two clean sheets. It was also the first time in 110 years (1907/08), the Red Devils have scored 4 or more goals in their opening two league games of a season. After enduring a difficult opening period in the first half, United finally grabbed the go-ahead goal on the stroke of half-time when the centre-back prodded home from close range. Paul Pogba saw his powerful header crashed off the crossbar but Bailly reacted first to stab into the net for his first ever Manchester United goal. The visitors dominated the second half — scoring three goals in three minutes and 41 seconds. 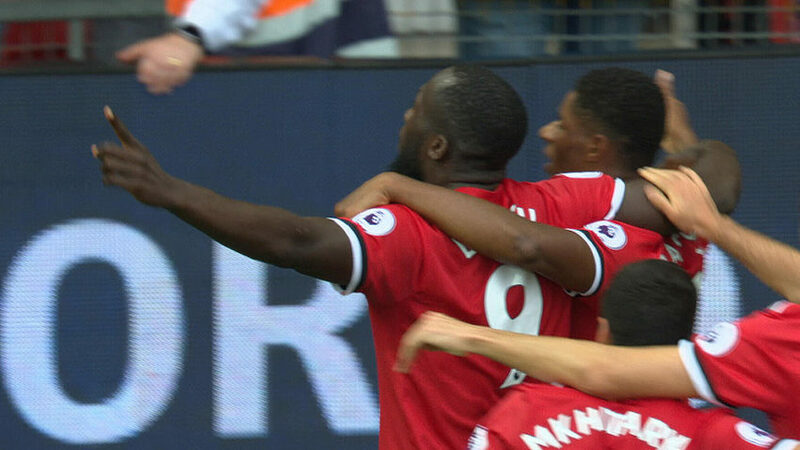 Lukaku, who netted a brace on debut last week, doubled Manchester United lead in the 80th minute after he blasted home a disguised reverse pass from Mkhitaryan. With his goal, the third of the season, Lukaku became only the 5th player to score in his first two Premier League appearances for United — joining Zlatan Ibrahimovic, Louis Saha, Martial and Federico Macheda. Mkhitaryan then setup Pogba for his second goal of the season and a third of the game for the visitors with a skilled through ball for the Frenchman to loft home beautifully over the advancing Lukasz Fabianski, who was already on the ground. 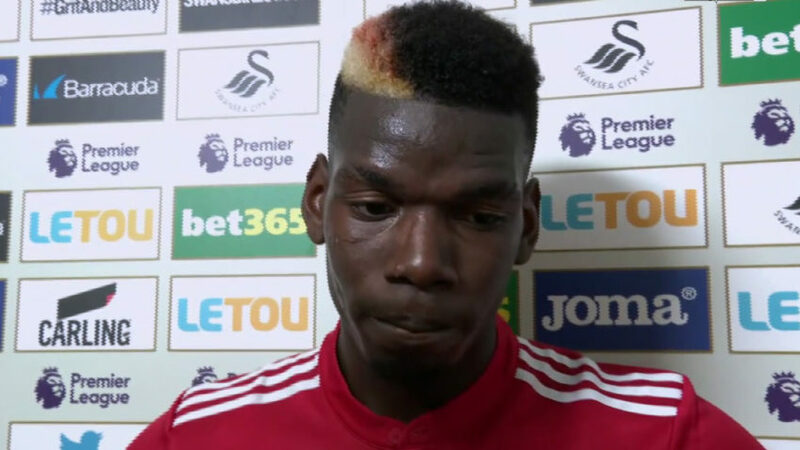 As he did coming off the bench last week, Martial rounded out the scoring for Manchester United in the 84th minute when he picked up a pass from Pogba before advancing into the Swansea box and pick out the bottom corner of Fabianski’s net with a smart finish. The Swans were playing for the first time is Gylfi Sigurdsson departed for Everton in midweek, while striker injured Fernando Llorente remained on the sidelines.